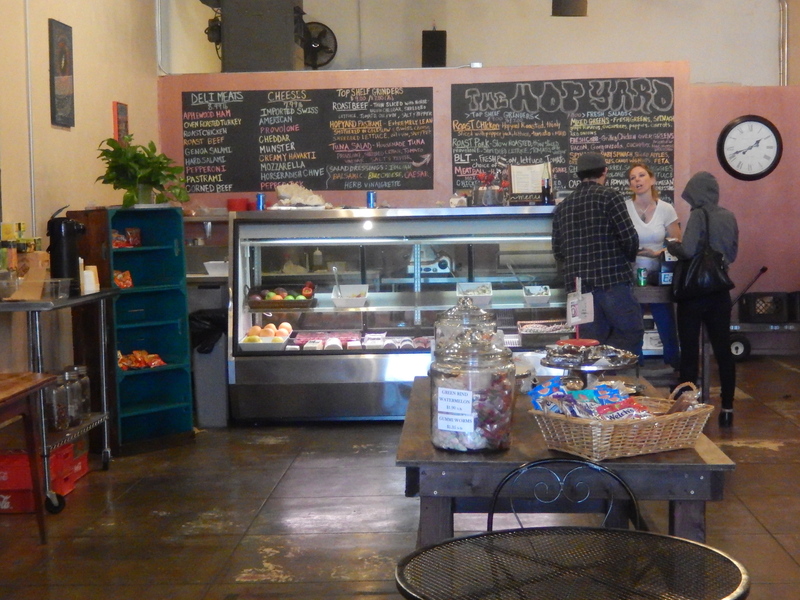 Fourth Avenue in Tucson is a shopping/eating/music/fun destination for locals and tourists alike. Dining choices range from poutine to pizza, vegetarian to burgers stacked eight inches high and fine dining to friendly get and go. The only chain restaurant along “The Ave” is a Dairy Queen and that’s been there since the beginning of time. On the far south end of the street, directly across from the modern street car’s final stop before Downtown, sits Hopyard Deli. Modeled after the family run markets found all up and down the East Coast, Hopyard sells grocery store items and such, but what really shines here are the deli items. 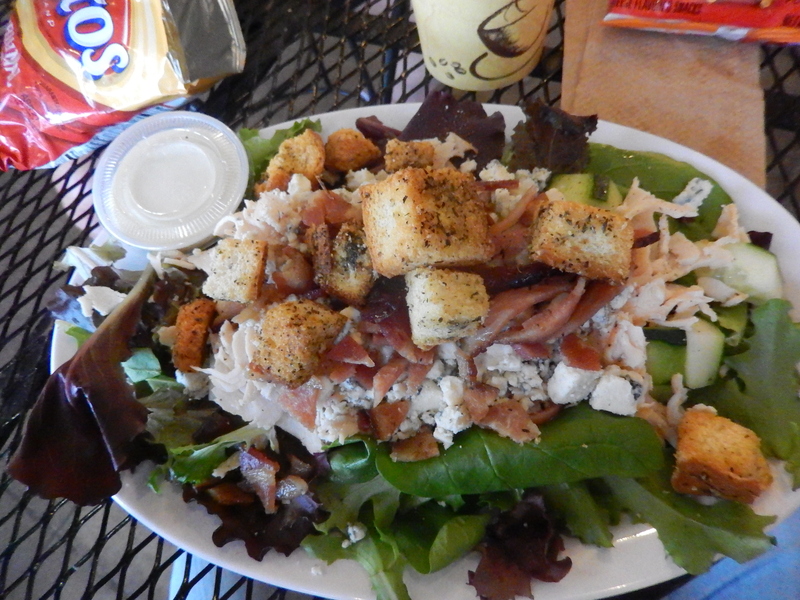 Sandwiches, salads and soups are made fresh by owner Allison Crist. Ally is a ball of energy, which is a good thing, because the place keeps pretty busy. In between sandwich making and salad tossing she hands out big hugs. Ally and Justin moved to Tucson from Connecticut. Hopyard gets its name from a state park near their home there. We stopped by the other day for a tasty lunch. What always strikes me about the food here is how fresh everything tastes. The greens in my Cobb salad tasted like they’d just been picked that morning plus the salad was packed with blue cheese galore and topped with big, crunchy house made croutons. You can tell Ally and Justin are form back east because they sell grinders, not sub sandwiches, not hero sandwiches, but grinders. The Italian salad dressing that comes on the sandwiches (although if you want another dressing, there are about six to choose from) tastes so authentic, you’d swear you were in NYC or Philly. Deadheads – that’s the Grateful Dead – will be in awe of all the great concert posters that hang on the walls. 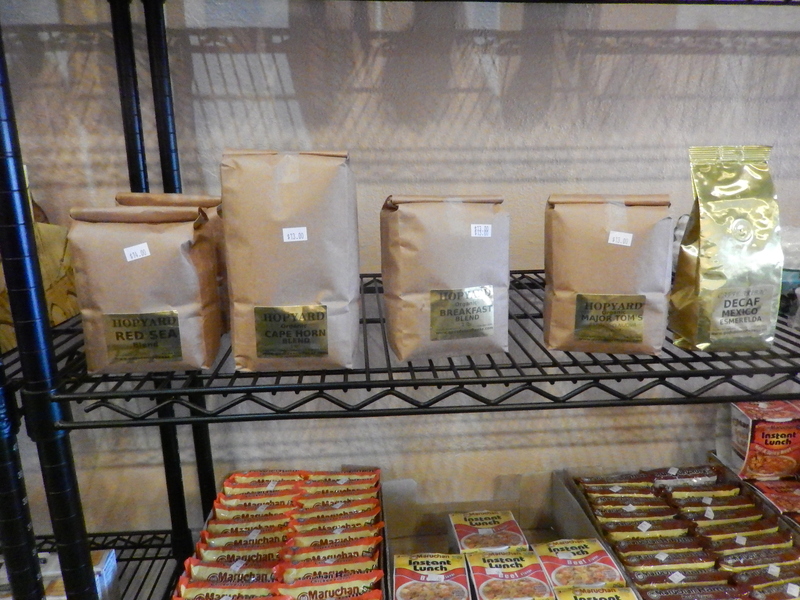 Coffee lovers will dig the brew from Arivaca’s Gadsden Coffee. And I dare you not to grab one of the delightful desserts that sit on a table in the middle of the room. Take some home. 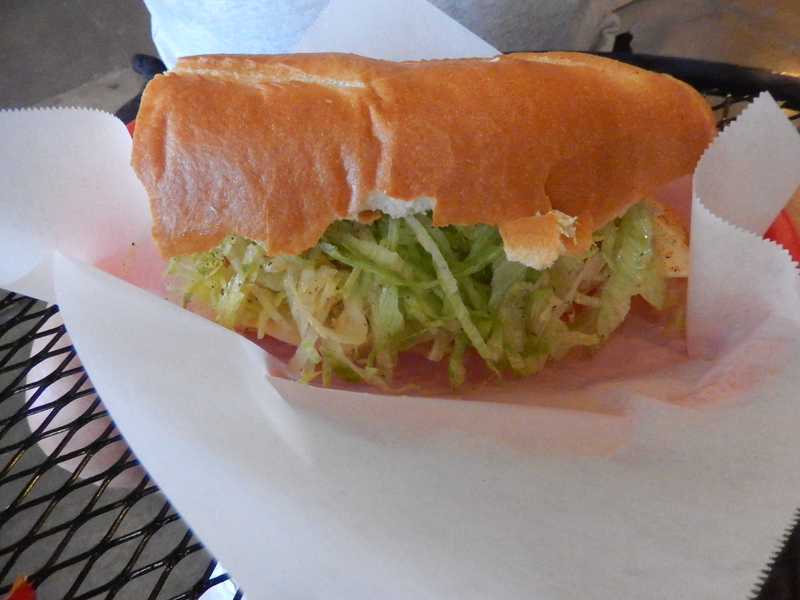 Hopyard Deli is at 210 N. 4th Avenue. They’re open late on weekends and closed on Sundays.